The Tower of London is a fortress located along the north bank of the Thames, near the Tower Bridge. 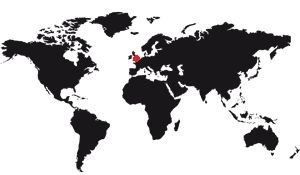 It is rather to the east of the London capital. Formerly the seat of the British crown, this fortress is now a tourist landmark in London. The Tower of London, night view. The Tower of London is often confused with the white tower. The latter is the tower of the Tower of London, that is to say the ultimate defensive building, the place where the most important elements of the fortress are concentrated. 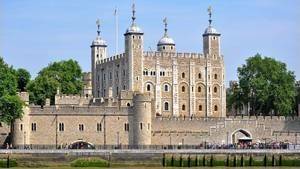 The white tower is so called because of its decorations and windows, but if one speaks of the Tower of London, it is necessary to see that it is a much larger set of medieval buildings. One could go so far as to speak of a military complex as there are buildings. Besides, the comparison with a small town is quite valid. 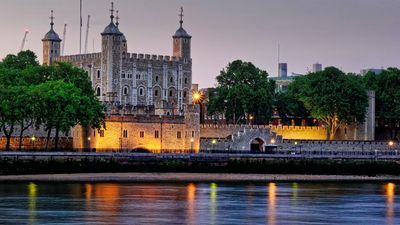 The Tower of London was built on the banks of the Thames to control it, to control the maritime traffic that was taking place there, but also to control the city of London. It is therefore very precisely in the center of the ancient city of London, the medieval, and on the banks of the river. In practice, it is more in East London today, right next to the Tower Bridge (the world's most famous rocking bridge), on the same bank as the Westminster Palace. Learn more: Location map and access. This is the so-called jewelry collection of the British monarchy. This collection is of exceptional quality without equal in the World. It contains as its centerpiece the Imperial State Crown, the famous imperial crown which is worn by the new king or the new queen during enthronements. It contains 2868 diamonds, 273 pearls, 17 sapphires, 11 emeralds and 5 rubies! But there are plenty of other barely credible pieces: the biggest cut diamond in the world, the First Star of Africa, two scepters, swords of ceremonies, and so on. There are a number of really important gems here. Visitors can see the whole collection without any problem, it is included in the price of the tour of the Tower of London. For a practical side there is a treadmill in front of the main rooms, to avoid traffic congestion. The Yeoman Warders are the guardians of the Tower of London. Recognizable among a thousand thanks to their dark blue and red ponderresque outfits, they (and recently, they) are all former soldiers having done more than 22 years of service. There are special conditions to integrate this body, and their work consists essentially, today, in guiding the visitors by giving many explanations on the history of the fortress. Learn more about the Yeoman Warders. Who has never heard of the crows of the Tower of London? These birds are sinister in reputation and are in fact particularly choucoutés and can often walk freely in the moat of the castle or in the inner courtyard. What one knows most about these crows is that on the day they disappear from the fortress, the monarchy will collapse! This is at least the most famous legend of the Tower of London. But to know more about the living conditions of these birds so special, you can read the page dedicated to them! Learn more about the crows of the Tower of London. The menagerie of the Tower of London no longer exists today, it was transferred to the zoo of Regent's park in 1828. Established in the early 13th century on the basis of a menagerie existing for nearly 100 years in a royal castle near of Woodstock, it is as well known as the presence of the crows in the Tower of London. It served essentially for the greatness of England at a time when the offering of exotic animals was a very established tradition. 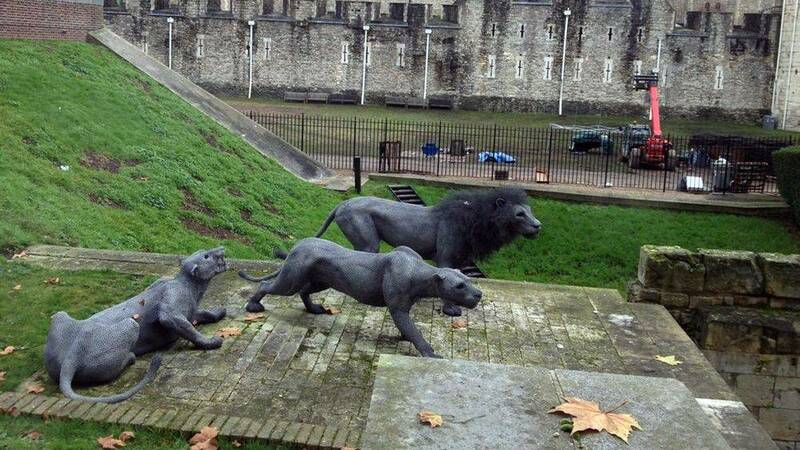 Learn more about the menagerie of the tower of London. The Tower of London is enclosed in an irregular hexagonal space whose outer ramparts follow the sides. The outer rampart has only two towers that are on the north side, and an entrance guarded by two other towers on the west side. At the front of this entrance are two other towers controlling a drawbridge, and in the past there was another square tower just upstream, but now it is destroyed. The south side has another entrance, the door of the traitors, and two small square towers. This first rampart is supported by a second, less thick, which forms a street between the two. This second rampart has a walkway and many watchtowers. 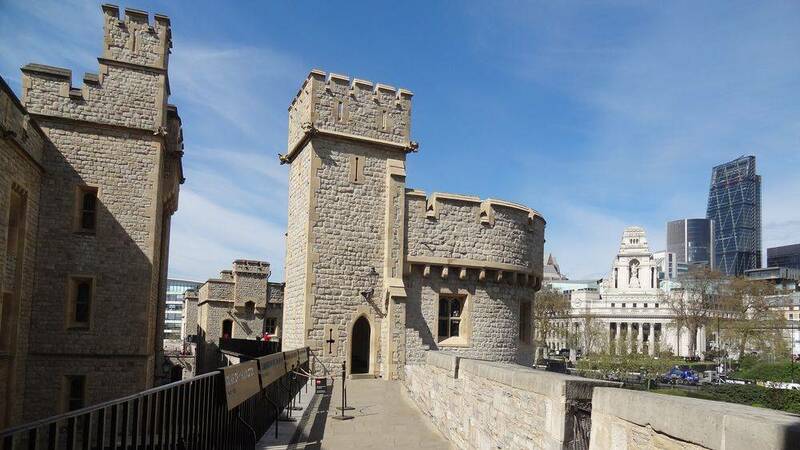 It is against this rampart that the principal buildings of the Tower of London are found: the Queen's apartments, the royal chapel, the headquarters of the royal regiment of fusilliers, the Waterloo barracks, and its halls for the crown jewels, etc. . The second rampart perfectly follows the first in its forms, it is therefore also in the form of an irregular hexagon. It has three passages, all on the south side: The one to the west passes under the bloody tower, the one to the east is a wide open rampart, and in the center it is a passage one a little more modest, opposite Porte Henry III. Inside the second rampart begins the fortress itself. The white tower stands majestically in the center of the wide open square. This square is paved, but the approaches to the Queen's apartments as well as those of the chapel are grassed. Aside from the white tower the most important building is undoubtedly the Waterloo Barracks. It is a building built during the nineteenth century as its style indicates, and which was intended to house the garrison. Nowadays it has been converted into rooms to display the jewels of the crown. These showrooms are fantastic, they show jewels of invaluable values, pride of the British. The tourist route is rather well made, especially the treadmills which allow to show to maximum people the most important parts without causing bottling in front of the windows. The other buildings are just as interesting, though less well known. It is possible to see the Royal Chapel, a style a little more modern than the other buildings, the Queen's apartments, in a very Victorian style, and the headquarters of the royal regiment of fusilliers which is worth the visit for its museum quite rich and well made, though a little small. It is also necessary to follow the circular path which runs through the inner rampart and which allows to traverse the different watchtowers that dot it: They all have a peculiarity and contain informative elements. One of them is specially designed for children. The square also passes a memorial dedicated to the dead executed here. Unlike legend, there were not many executions at the Tower of London, only about 150 people in all its history, but it was still built a small memorial of modern style for their memories. 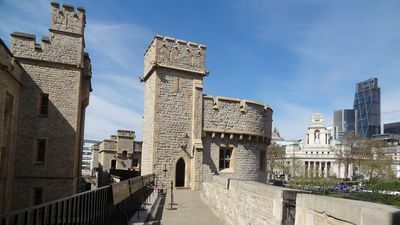 Other buildings include the old hospital, the workshops, a casemate, and especially the Porte des traitres, the last important element of the Tower of London. It is a building whose use has varied over time and which allowed, via a door, to exit on the banks of the Thames. 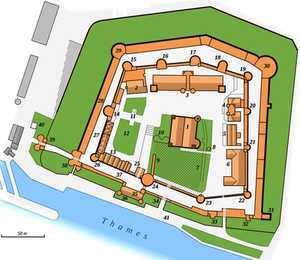 See also: Map of the tower of London. See also: Description of the tower of London. The Tower of London can not be photographed like that. Not that it is forbidden or even limited, but it is a rather extensive fortress, so it is difficult to have it in its entirety. But each part, each element, each building has its charm, its style, and so it is naturally that one can get beautiful pictures of the Tower of London. Here are a few. Discover: Photos of the tower of London.